Hours: Sunday through Thursday, 4 p.m. to 10 p.m.; Friday and Saturday, 4 p.m. to 11 p.m.
Houston’s newest luxury steakhouse, Steak 48 has opened in the left corner of the River Oaks District facing Westheimer. Co-owners Michael and Jeff Mastro designed the 14,000-square-foot, two-level Houston location to reflect its parent restaurant, Steak 44, named for its address on 44th Street in Phoenix. 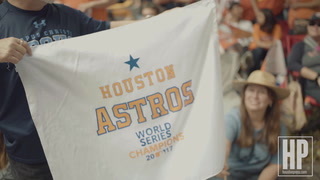 The “48” for this Houston location was chosen to honor Arizona, which was the 48th state to join the Union. Executive chef Jeff Taylor (formerly of Del Frisco Grille) helms the kitchen with the support of corporate lead chef Marc Lupino, curator of the original restaurant’s menu. Steak 48’s menu is extensive, offering a variety of wet-aged beef cuts, fresh seafood, chicken, pork and fish entrées and sides. The premium-quality steaks are cooked very well and the seafood is indeed fresh, but the prices are a bit on the heavy side when considering the overall dining experience. Order the Wagyu filet; it melts like “buddah,” but don’t touch the 500-degree plates; trust the waiter when he tells you they’re hot. The raw bar is a spectacular sight to behold; the shrimp are rightfully called “super-colossal,” the Alaskan king crab and lobster tails are impressively displayed alongside freshly shucked oysters and crab claws in a menagerie of glass and ice.